Vote for the Happy Memories Grand Prize Winner! Hello everyone, Management Team here! We received more responses for the Happy Memories contest than we could have ever imagined! Thank you for your support and for sharing your wonderful memories! Below we have the final 5 nominees, selected by the Management Team directly. 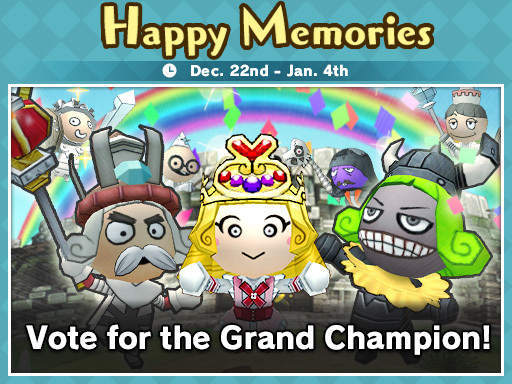 Then, it’s up to all of you to vote on the grand champion! Take a look at each of the following entrees and choose your favorites. Then, head to Twitter and retweet your selection, or get on Facebook and drop a Like to vote. The nominee with the most votes across twitter and Facebook will be the winner. Plus, in response to the incredible turnout we received, we’re adding an additional prize to win! 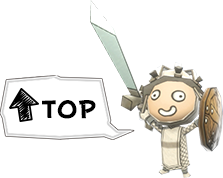 Vote for your chance to win an equipment item of your choice! Well, I have much memories from HappyWars, but i want to talk about a memorie in special; I was leave of this game because i hadn’t Gold, then much time later, I saw a my little bro played this game, with a smile and hapiness, this made that i took my control of Xbox JAJAJA, and played with him, Now i have more things of the ones i had before, is very enteirteiment to me, and also of rest of players. Well is that of all, A greeting from México, it’s a great game:D ! Happy Memories Grand Prize Winner! Simply Retweet your favorite nominees and the one with the most votes wins! I’ll tell you the story of my life I had with Happy Wars. Since I was little I always liked games, it did not matter which I always liked but I was always unlucky in the games but I never gave up I always status determina tédio, with Happy Wars was not different I was so unlucky but still I played until I could collect the tickets that I needed to appear the happy time and when I went to open a package, what came later after I did not believe I had won a good weapon for the first time I had won an axe but not any axe was the unique and incredible “BESERKER AXE” it was so much happiness that I screamed so much that I had to go to the doctor. It took a long time and I only played with my axe, I played with him from lvl 25 to 50 but one night (I was already more experienced in the game) and very sleepy for being midnight of course, I decided to add the effect of fire enchantment in my favorite weapon but for that I needed to remove one of the buffs from my axe and that’s how the biggest tragedy happened I pressed without realizing “Remove reinforcement instead of” Erase reinforcement “and as I had no buff pincer my axe it was so precious to me it was completely erased I cried all night, I thought about quitting playing but I did not, I continue playing until today and never give up no matter what happened. 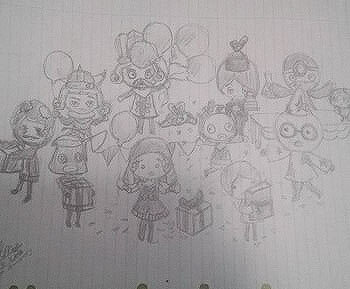 It was my story with this amazing game that is Happy Wars, Congratulations on your 5th birthday !!!! 1. When I won the item design contest! I designed the “Winged beast Armor” for the MAGE in the first item design contest! I remember sitting there drawing and thinking “oh how cool it would be to contribute my own design into a game that I love and had been playing for years at that point. When the results came in and I saw my drawing as well as the other 2 winners I was ecstatic! I’d never considered myself an artist so I was beyond happy when I won. I don’t even want to admit this but I’m pretty sure I teared a little bit because of how happy I was haha. 2: Back in season 2 when the game took actual skill and these so called “glitches” weren’t done away with. I miss how back then a weighted average for skill and buffs was like 40:60. Now its like 20:80. Since then I know a lot of players who stopped playing because of the direction the game was moving in… Ive been playing since the beginning and though I disagree with certain changes, I still have always enjoyed the game. If you enjoy my mage design or agree with what I said about season 2, leave a like! A moment is when I first got the game. I met someone who was a high level. We didn’t really get along at first… But whenever we were in the same team, we were unstoppable! He then show me the ropes! He sadly passed away but he’s my BFF at <3. The last happy memory I would like to put up is seeing everyone else’s memories of Happy Wars and how happy it makes me. I’m glad that everyone has fond memories of HW. To vote, visit our official Twitter and Facebook accounts. Select your favorite nominee and retweet their entry on Twitter, or click Like on their response on Facebook to cast your ballot. Then, we’ll count up all of the Retweets and Likes each nominee receives, and the one with the most wins! ※You may vote for more than one nominee. ※Votes by accounts which appear to be created solely for the purpose of voting in this contest will be ignored. The grand prize winner will be announced at 4:00 am Thursday, January 11th (EST). Who will secure the largest number of votes and a chance at creating completely original equipment? You’ll have to vote and find out! Due to the overwhelming number of responses received, we’ve decided to increase the number of winners! We’re adding 5 more of our original T-shirts to the prize pool for players to win! Here’s another look at the prizes! Grand Prize Winner A complete set of Equipment that you help to create. Even if you weren’t a part of the list of nominees, you can still win an original t-shirt! Winners will be selected at random, and then contacted directly through private message on Twitter or Facebook. Due to the overwhelming response we received, we’re also preparing a special prize! We’ll hold a lottery that includes any players who voted at least once. There will only be one winner, but that winner will receive a piece of equipment of their choice!